I don’t know about you, but I definitely have my favorite yarns, needle sizes, stitches, cast ons, and bind offs. I think most of us do. Binding off for shawls can sometimes be tricky. The bind off definitely needs to be stretchy, plus fast and neat are huge bonuses. My favorite bind off is the Decrease Bind Off, and my second favorite is Jeny’s Surprisingly Stretchy Bind Off. The Decrease Bind Off is the bind off I include in all my patterns, and it’s the bind off I default to on the rare occasions I get to knit another designer’s pattern. To execute it you *k2togtbl, slip the stitch on your right hand needle back to your left hand needle, repeat from * until all your stitches are bound off. You can find another explication, along with a good photo tutorial, here on Knitty, it’s the second bind off down the page. I love it because it’s stretchy, easy to work, and easy to keep neat. Once you get the hang of it you can work it almost in one motion making it fast, a huge bonus when you’re binding off hundreds of stitches. Jeny’s Surprisingly Stretchy Bind Off is a bit tricky to get into the rhythm of, but it is surprisingly stretchy, and it does look very neat at the end. To work it you *yo purl wise (so ‘backwards’ around the needle), k1, slip the 1st stitch over the 2nd stitch (so the yo over the knit), yo purl wise, k1, (you’ll have 3 stitches on your right hand needle at this point), slip the yo over the knit (so the 2nd stitch over the 3rd stitch), and then slip your 1st knit over your 2nd knit, repeat from * until all your stitches are bound off. Repeat Step 4-7 until all your stitches are bound off. You can find another explication, along with a good photo tutorial, here on Knitty. This bind off is amazingly stretchy, very easy to keep neat, and I really really like it, except, I find it very slow. Of course I might find it faster if I used it more often… (that whole practicing thing). I do use this bind off if I’m binding off right after a row with yarn overs in it, because it provides more stability than the decrease bind off. That stability helps keep the yarn overs on the row below the bind off distinct. In the Decrease Bind Off the stretch comes from the being able to keep a very loose tension easily, and the speed comes from how easy it is to get into a steady rhythm. In Jeny’s Surprisingly Stretchy Bind Off, the stretch come from the yarn overs and the stability comes from the knit stitches. But all the slipping stitches over stitches slows the binding off down. These are by far my favorite bind offs, and I use one of the two on 99% of my projects. 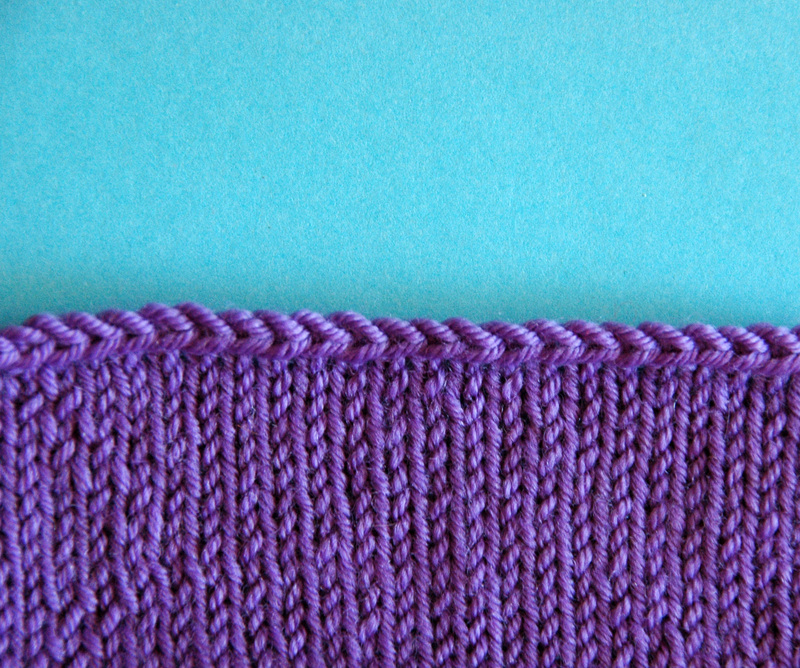 Do you have a bind off you usually default to? The Perfect Bind Off for Every Fabric Cheat Sheet has instructions for a whole variety of bind offs and what uses they’re perfect for (including the decrease bind off, JSSBO, kitchener stitch and a tubular bind off). All on a single page, easy to slip inside your knitting bag. Thank you for a very clear and easy to follow explanation of Jeny’s Surprisingly Stretchy Cast-off. I’ve just used it for my shawl and it looks lovely. I will recommend your explanations to my customers! Thank you for such a sweet comment Isabel! I’m so glad you found the explanation clear – please do feel free to share it! When I do JSSBO, I slip both of the stitches (YO and knit stitch) off the right needle at the same time. 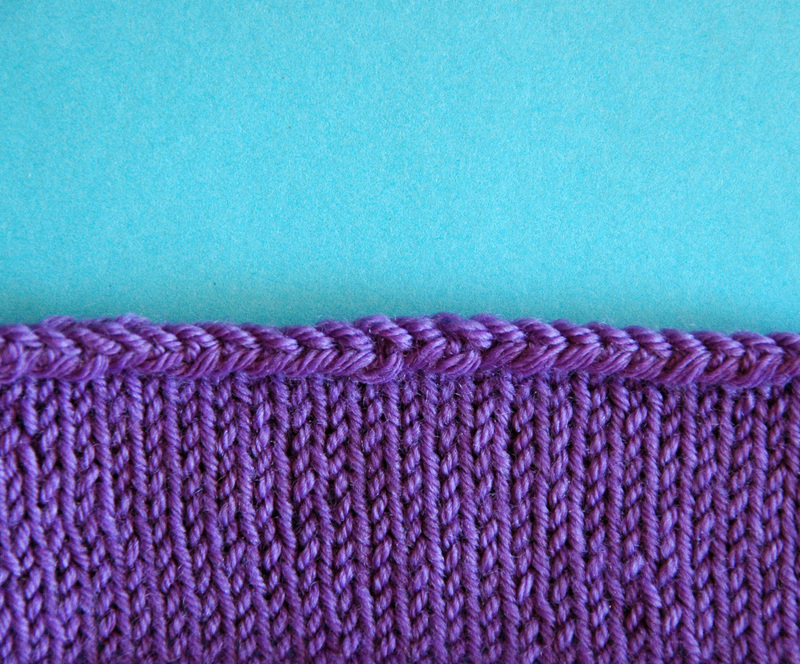 It saves a step per stitch you bind-off, so it speeds it up the process significantly! Thanks for the comparison! Thanks for the tip!! I’m so glad you enjoyed the comparison.